Panic Inducer #1: Why is everyone doing so much more than me?! Uggggggggghhhhh! Can I write that? Oh, okay, I can? One more time then, ugggghhh! I cannot tell you how much time I will never have back that I wasted in law school and at the beginning of my bar prep on this. My colleagues and I spent valuable time discussing what everyone was doing, how hard it all was, and worrying if we were doing enough in comparison to everyone else who seemed to have things under control. You know what we weren’t doing during that time? Studying and taking care of our mental wellbeing. Don’t get me wrong, complaining can be cathartic, but when you go longer than five minutes, you really need to question if this is benefitting anything other than your procrastination skills (which, by the way, won’t help you pass the bar!). Moreover, I found that comparing myself to what my fellow comrades in arms were doing (or not doing) really made me feel awful and put me in the wrong mindset to study. While I had originally signed up for my bar program to go to the live lectures, I decided very early on to watch the lectures recorded and study alone to avoid this time-wasting and stress-inducing opportunity, which seemed to occur during every lecture break. Bottom line: if something isn’t working for you, change what you’re doing. Panic Inducer #2: Why is there an “impossible” amount of material to learn to pass?! Let’s cut to the chase: this kind of statement misstates the facts and you’re smarter than that! If there were an “impossible” amount to learn, no one could do it. But people do learn enough material to pass, and so can you! 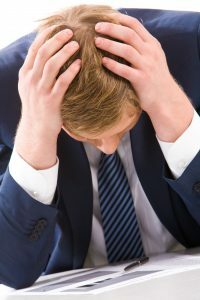 As discussed in Can You Pass the Bar Exam Without Taking Barbri, “There’s simply no way you can learn everything that might possibly appear on the bar exam, so it’s a lot more efficient to focus on what’s most likely to appear.” Instead, you have to pick your battles and use your time efficiently. Whenever I felt overwhelmed by the amount of material aspiring attorneys need to learn, I reminded myself that not all of it could be learned in a day (and especially not if I was too busy freaking out!). I also reminded myself to stick to my schedule and manage my time accordingly. Different study plans work for different people. Some people have to work full- or part-time and/or take care of family members, but you must have a study plan to keep you on track. (P.S., you can work with a tutor to craft a good study schedule or get critical third-party feedback on essays and performance tests). My bar prep program had a lot of lectures, and I found it hard to resist temptations from distractions due to boredom. My cure was to listen to audio lectures in the privacy of my home and do light stretches or bike on my exercise bike to keep focused. I also found a little coffee shop next to my house that was relatively quiet and I enjoyed working there every other day to get a change of scenery. Find your cure. Perhaps it will look like mine. Perhaps it will mean you use the circles method. No matter what system you use, create a solid study plan and incorporate some breaks so that you don’t suffer from burnout. With the benefit of hindsight, I now know that listening to lectures is a passive study method that takes hours of valuable time away from more helpful activities, so you really don’t want rely on this study activity too heavily. I used to feel guilty if I skipped an hour of lectures to practice some multiple-choice questions, but as a tutor I now recommend to all of my students (except for audio learners) to consider skipping lectures altogether! Why? Because, you want to use at least half of your study time with proactive study methods, such as taking practice essays or completing sets of multiple choice questions, and the other half on refining your attack plans and rule statements, none of which require listening to lectures! In conclusion, there are many different ways to de-stress during your bar prep, so don’t be afraid to try them out and find what works for you. However, if your anxiety is severe, consider seeking help from a professional. You are not alone, and you can pass. Now get out there and get to it! What Are UBE Exam Graders Really Looking For?